I know, I know… It is still winter, but it is almost feeling like Spring around here. 🙂 Colorado has a weird way of teasing you. Today it is 80 degrees out, but tomorrow we’re expecting snow. Still, here on the farm, we’re in full “Spring” mode. We’re clearing the garden and getting it ready, growing veggie and dye plants under lights in our sunroom, our sheep are pregnant(! ), and plans have been made for incubating our Spring chicks. Our rented ram, PeanutButter, just went back to his home after 2 months here on the farm. He is less than a year old, but he approached his job as a stud with MUCH enthusiasm. For the first few weeks, he hardly ate or slept because he was so focused on his task. Once his work was done, PeanutButter calmed down and spent lots of time in the pasture snuggling with the ewes and hanging out with our guard llamas. He learned that he really loves to be scratched, and the kids were so sad to have to send him home. Finally, I’m getting back into the swing of training for my races this year. After finishing a 50-miler in December, I lost my running mojo for a while. Although I felt better than expected after the race, I just needed a mental break. The long hours of training in the months leading up to the race had left me a bit burnt out, and I needed to rediscover my love of running. Now that it has been 2 months, I’m ready to get back into the groove of training. I signed up to run Leadville again, and my official workouts started on the 1st of February. My training runs have felt awesome, and it is so nice to have a fresh start. In everything, I’m really enjoying the shift of seasons. The quiet that came in the darkest months, and the new growth that is starting as Spring draws nearer. This summer has been absolutely dreamy so far. 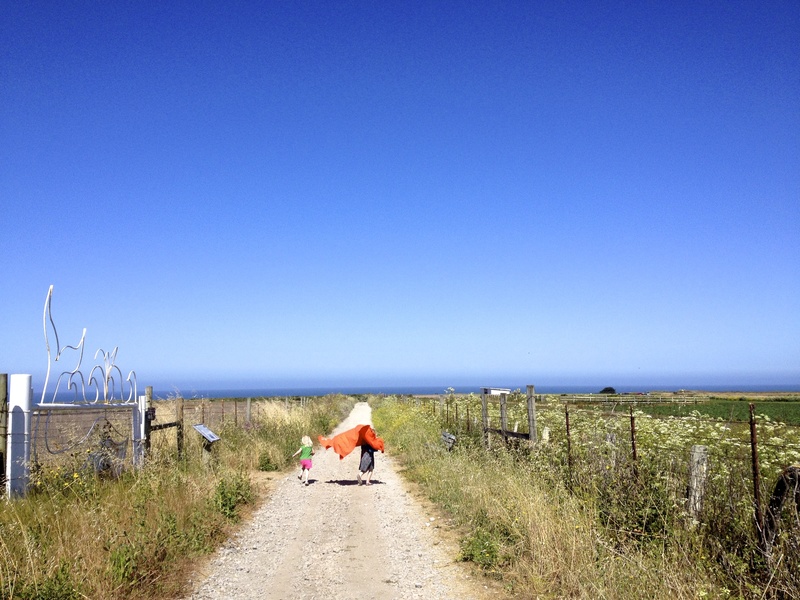 We’ve been building forts, soaking up the sun and salty air, playing board games for hours at a time, reading amazing books, and crafting our hearts out. The weather here has been absolutely gorgeous, and we have finally been here long enough that we are finding our “clan” and have plenty of like-minded friends to hang out with. 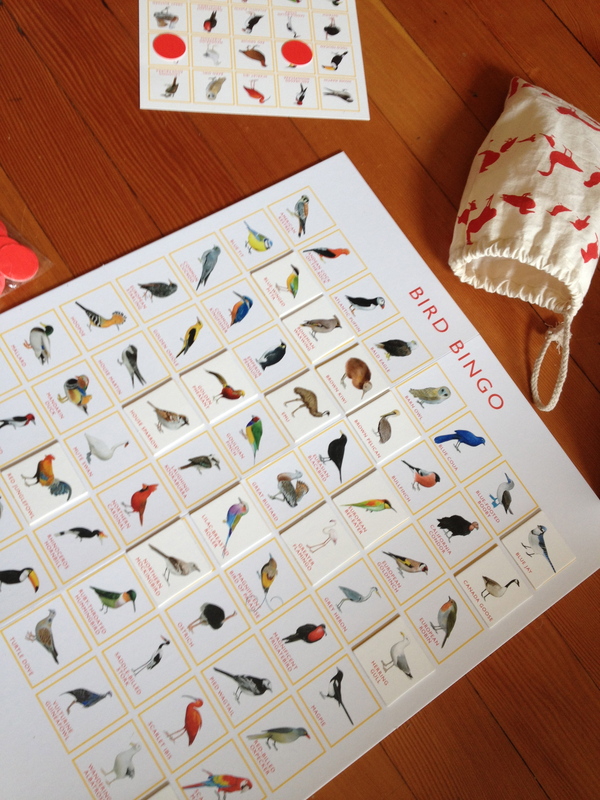 Bird Bingo – This game has been getting hours of play each day. My oldest is a passionate birder, and it has been great to see everyone else (including the adults) expand our bird-identification skills and have fun at the same time. I also love that reading is not required, so all of my kids can play together. Qwirkle – Another great board game that is great for all ages. This one allows kids (and adults) to work on strategy, matching, and simple math. We all love it! Creativebug (and their awesome summer series for kids!) – Creativebug has been a favorite site of mine for months, and we are loving it even MORE since they are offering a ton of great workshops for kids. 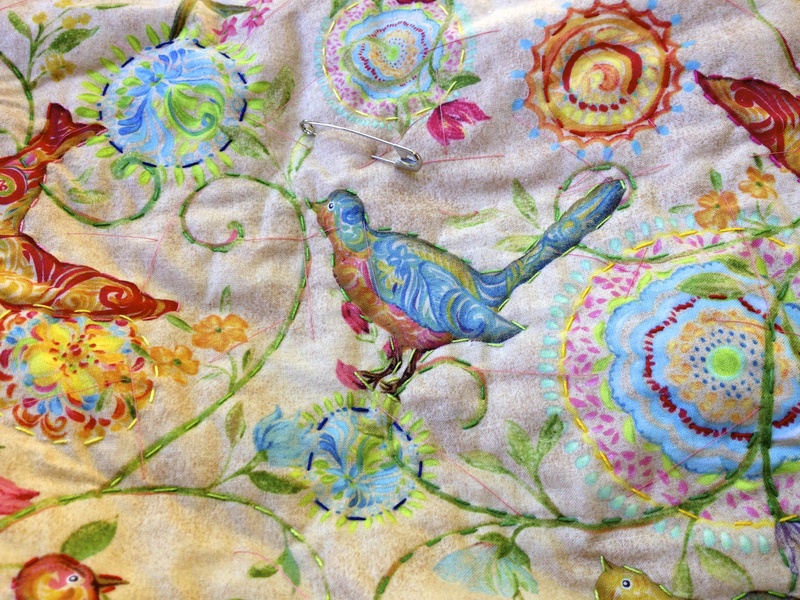 I have the monthly subscription, and I have taken workshops on embroidery, quilting, dress making, soap making, stamping, upcycling, you name it… They are taught by some of the best teachers (Natalie (Alabama) Chanin, Anna Maria Horner, Amy Karol, Kaffe Fassett, Rebecca Ringquist, Rad Megan, and so many more.) This week the kids and I worked on a quilt, an embroidery sampler, a table runner, and a teepee all inspired by Creativebug. 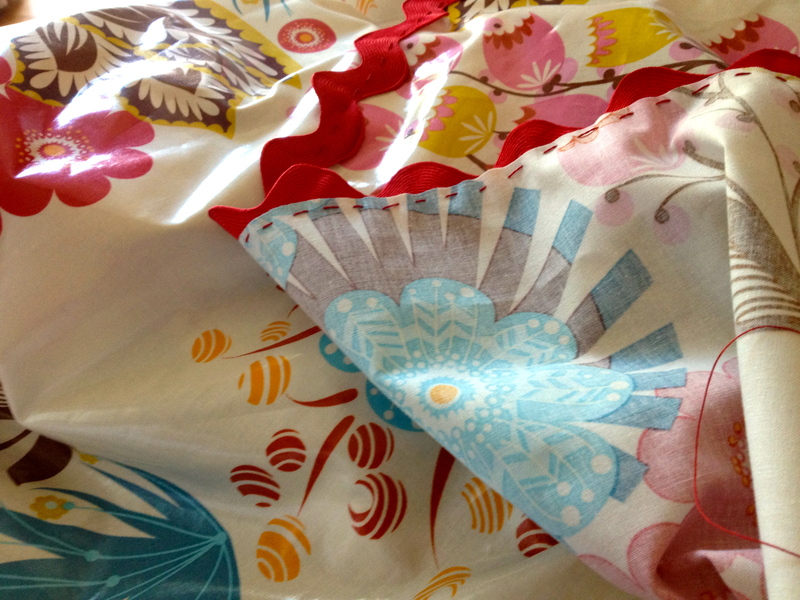 The picture above is of a wholecloth quilt that I am making, based on one of Anna Maria Horner’s Creativebug classes. The long orange stitches are basting stitches which will come out when I’m all done. 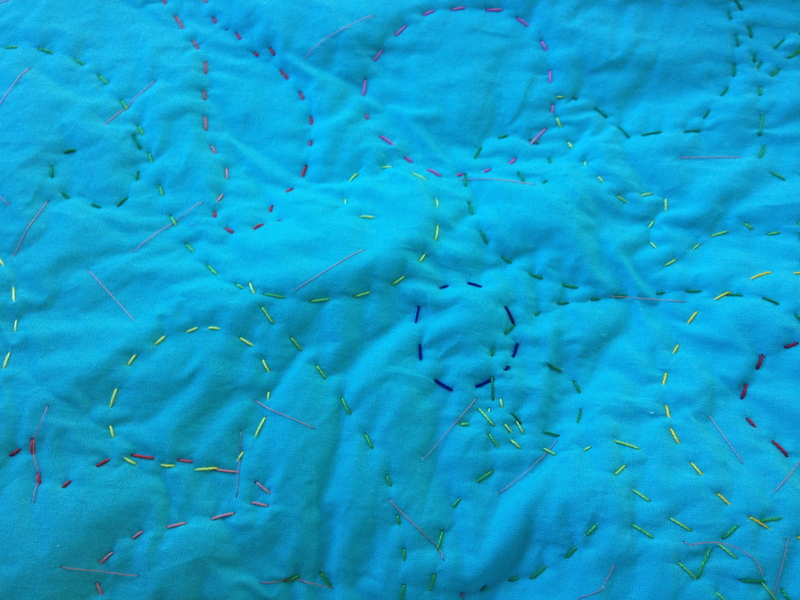 🙂 On the front you can see how I’m quilting around the motif, and the back shows just my stitches in my cotton thread. The glorious beaches! 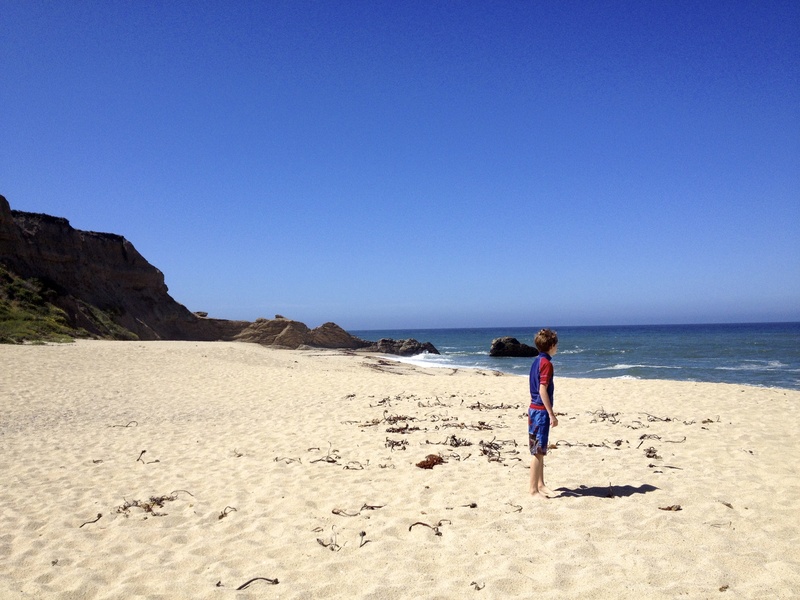 – We’ve been spending at least one day a week unplugged, feet-in-the-sand, enjoying the beautiful Pacific Ocean. We usually go with friends, and often have the beach to ourselves for at least a good part of our day. Summer camps are incredibly popular in this area, which means that there still aren’t many families out and about, even though school is out. We’re happy that it isn’t crowded, but I feel a little sad that so few people around us are getting to enjoy all of the natural beauty of our area. Soon the fog will be rolling in, and these sunny days will be few and far between on the coast. Project Based Homeschooling – We’ve always loved project-based learning, and Lori’s book and blog have been a long-time source of inspiration. I signed up for her upcoming master class, and I can’t wait to dig deeper. This summer, my 11-year-old has decided to focus on an astronomy project. He is reading a ton of books on astronomy, mapping the night sky, and writing about what he sees each evening, inspired by websites like earthsky. We’ve been learning so much! My 9-year-old is working on version 3 of her dog encyclopedia project. She has worked for several years on compiling information on breeds, illustrating, and writing a book. Each version of her book has been more refined and used additional sources. This year’s book is already looking amazing! I can’t wait to see the end result. My 5-year-old decided that her project will be learning all about sewing. We’ve been reading lots of books and getting even more time with hands-on learning. It has been great. So what are you and your family doing this summer? I’d love to hear more. Feel free to drop me an email or comment below. I always enjoy being inspired by other families! I belong to a few websites that offer copies of books for bloggers to review. We aren’t obliged to post about the books, but I love to share when I find a good one. When I saw Craft Activism listed on one of these sites, I was really excited. I’ve heard great things about this book, and the topic is one that is dear to my heart. Craft Activism is a celebration of people who are passionate about DIY, creating and making a statement. 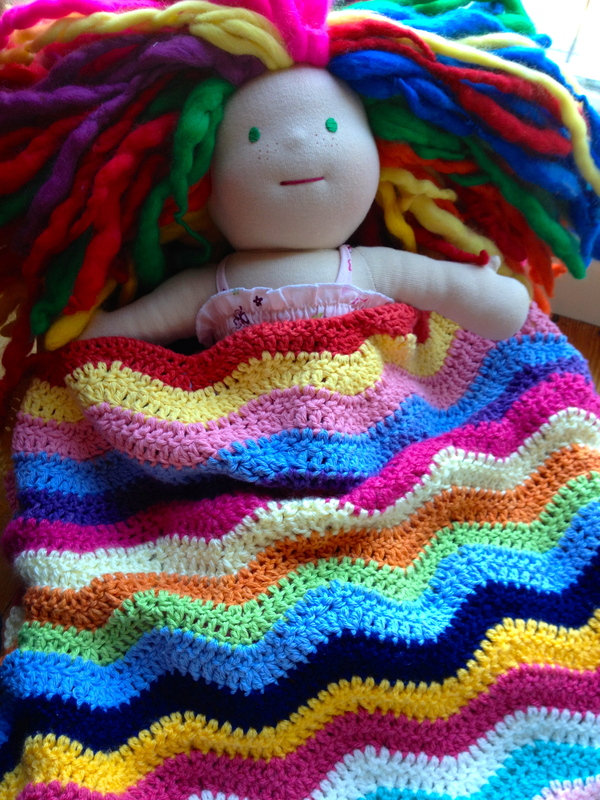 Some of the ideas are ones that get a fair amount of press (yarn bombing, quilting to raise awareness, etc. ), whereas others are ideas that I’ve never heard of apart from this book. One such crafter is Ruth Marshall, who hand knits some amazing, intricate “pelts” of big cats and other animals. She is trying to raise awareness about poaching and other issues that are threatening wild animals. For each crafter who is profiled, there is also a pattern so you can join in on their movement. For Ruth Marshall, there is a scarf pattern that looks like an ocelot. The pattern for the color work is breathtaking. I can’t wait to try it! Some of the other projects in the book include a sassy sweater with pro-cycling (as opposed to anti-cycling) color work, a small quilt with a message for peace, a pattern for sewing an adorable, modern housedress, a crochet granny square greenbag, and so much more. The project pages are widely varied, and I think anyone could find something to try. I love that they encompass so many crafts, and not just one or two. 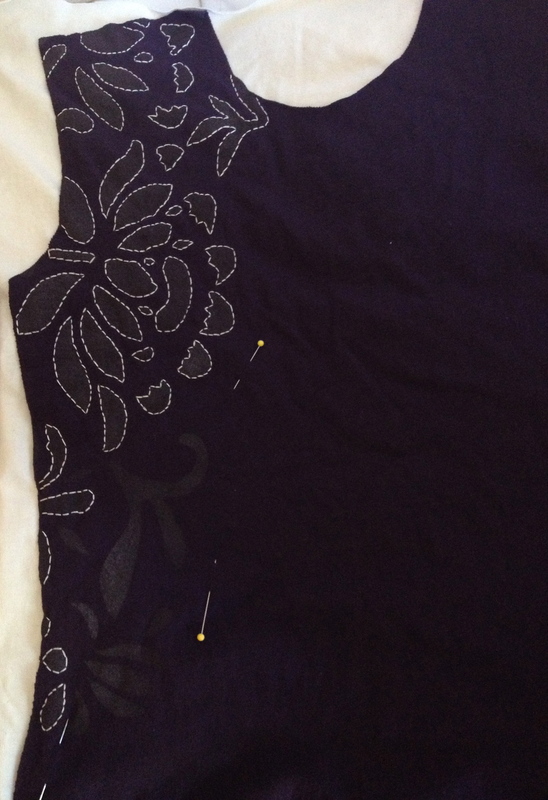 I was inspired by the section on embroidery to pick my needle back up. I haven’t embroidered (apart from the small amount done on knit toys) since I was a child. Reading the section on embroidery with attitude made me really miss it. I had so much fun tracing the pattern onto the tea towel and firing up my needle. I’ve since remembered how relaxing embroidery is. How could I’ve forgotten?! Watching me embroider inspired my 8-year-old daughter to pick up her needles too, so now we’re sharing the craft together. She has decided to work on a fairy design. 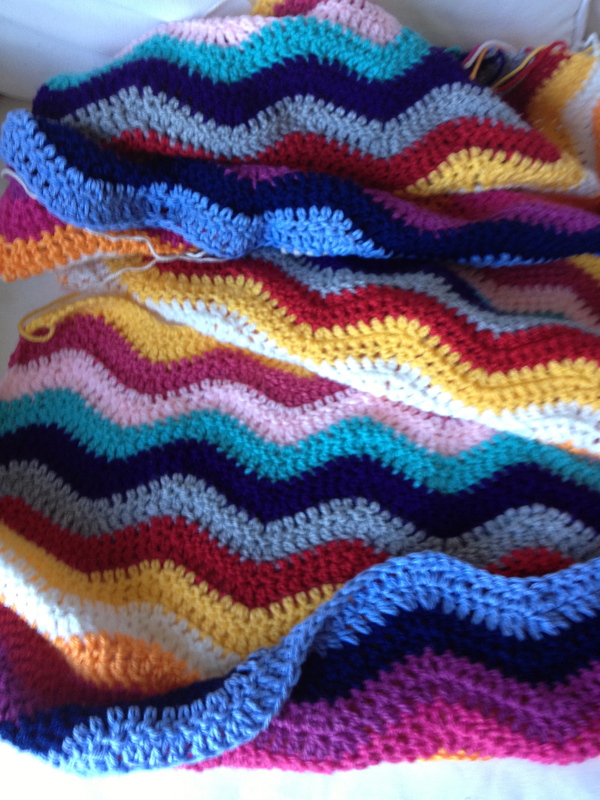 If you’d like to try the pattern that I’m working on from the book, there is a copy of it here. It is a tea towel that says “Hot Stuff” and has a volcano. It is so cute. There are so many projects in this book that I can’t wait to try. I love that it has helped me think of new ways to express myself through crafting. It has really encouraged me that I am not alone in my desire to share my passions by creating. It is such a beautiful portrait of the many faces of crafting and how we are all so different and yet so alike. I hope you check it out and enjoy it too!